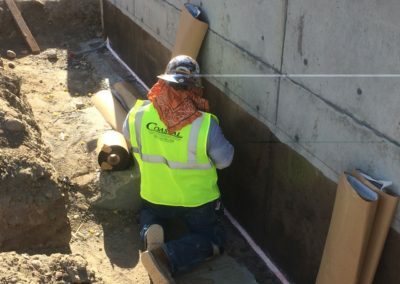 Coastal has experience in installing above and below grade waterproofing systems. 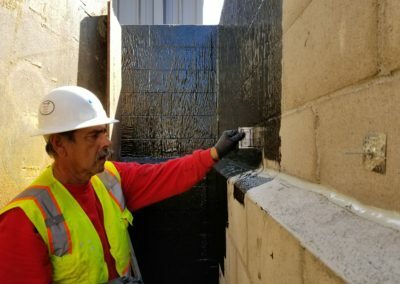 Our waterproofers have experience to accommodate all of your waterproofing needs from new construction to restorations. 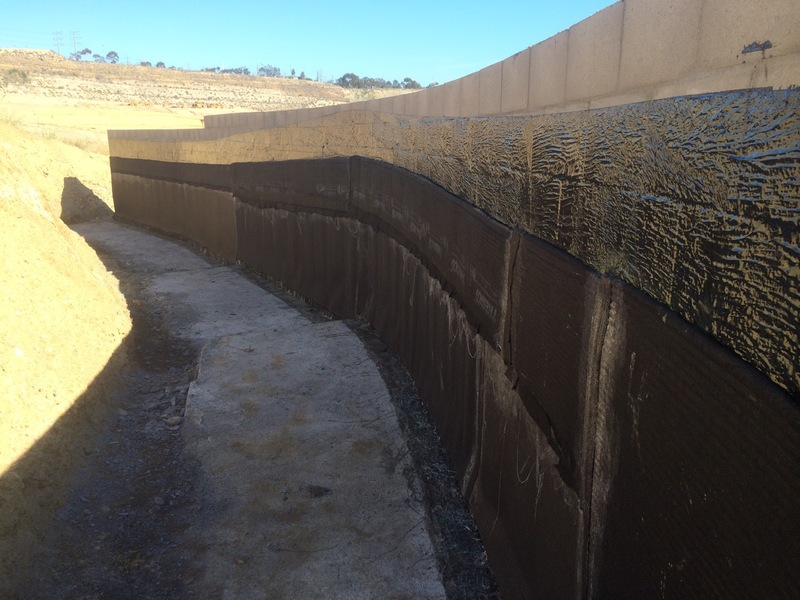 Durable, permanent, chemical resistant protection. Call us at 760.930.0070 for an estimate today! 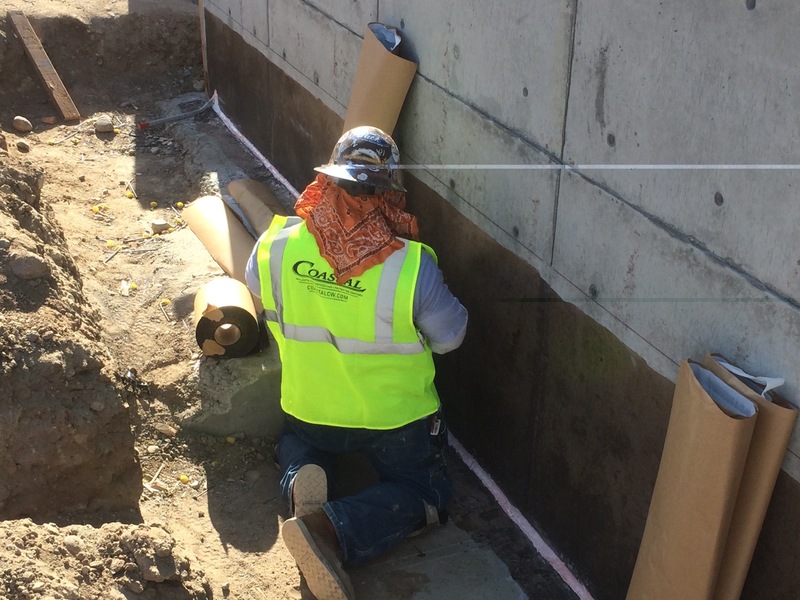 New Construction Project: Coastal waterproofed 3,560 square feet of a retaining wall in the widely known outdoor shopping center, Westfield UTC. 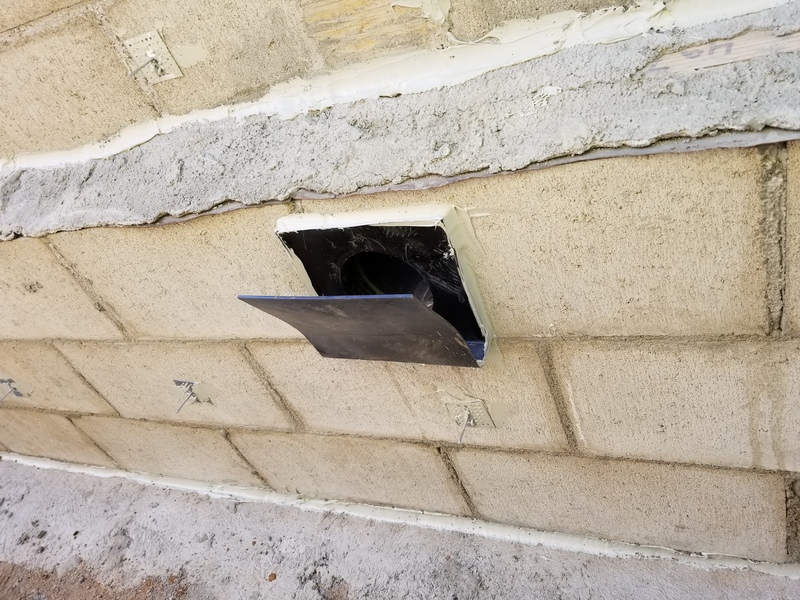 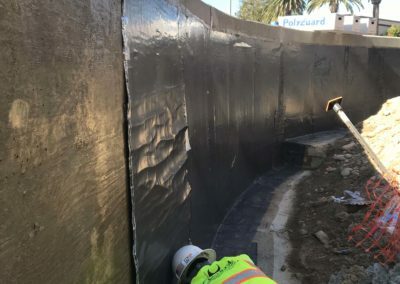 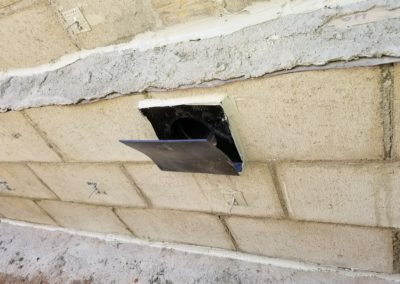 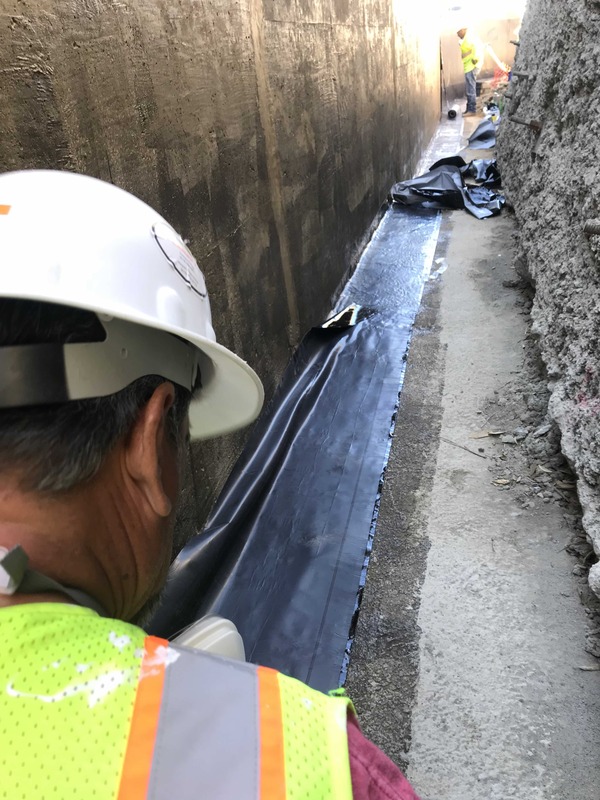 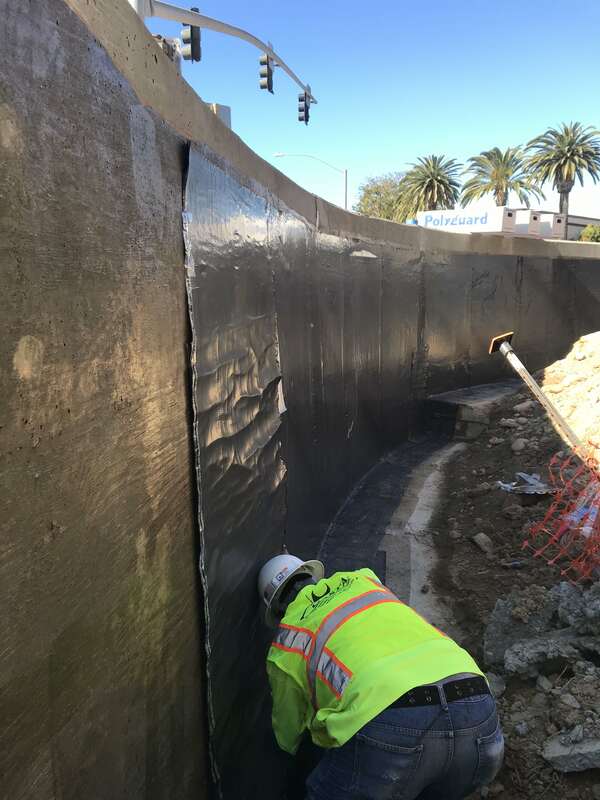 Specifically working on the southwest corner of the expansion property, we installed Polyguard 650 Sheet membrane waterproofing system with Polyflow-15P drain board. 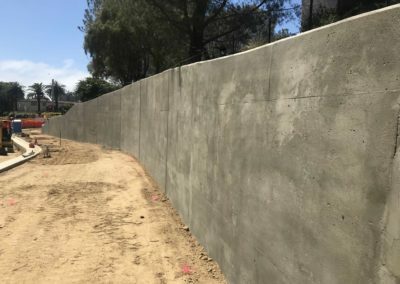 Unique to this below grade project, Coastal applied an anti-graffiti coating, Prosoco Block Guard and Graffiti Control, to the exposed side of the retaining wall. 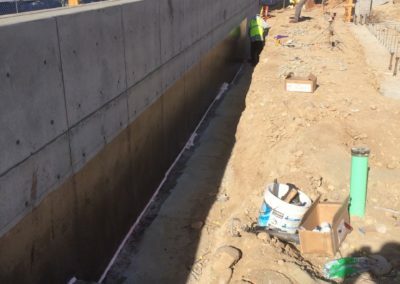 General Contractor: First Mark Contracting, Inc.
New Construction Project: Coastal waterproofed backfilled CMU retaining wall following geoengineer stipulation that water be directed through the 2,700 square foot wall into the parking lot so the excess could then flow into storm drains. 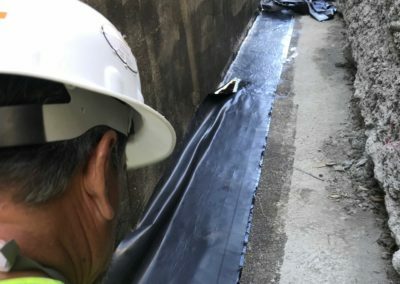 Using TREMDrain® Total Drain and TREMproof® 250GC, we saved our client time and money with this alternative to traditional French Drains. 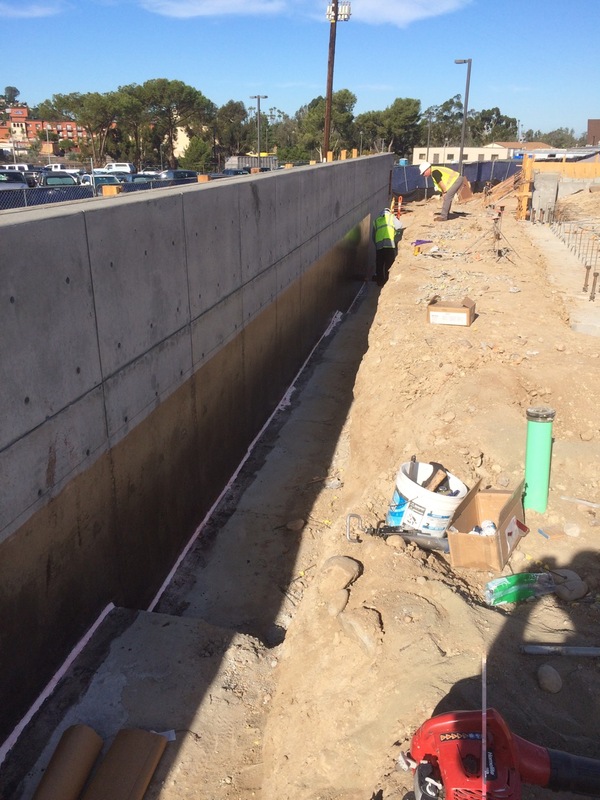 Renovation Project: Coastal waterproofed poured in place retaining walls at Grossmont High School in La Mesa using Tremco 250 GC. 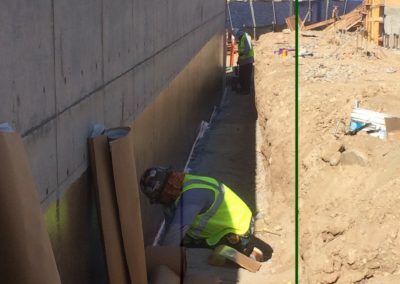 The 35,000 square foot landmark under went a complete renovation (modernization) where our team specifically worked on an elevator pit, the student services building and the art classroom to upgrade the historic school. 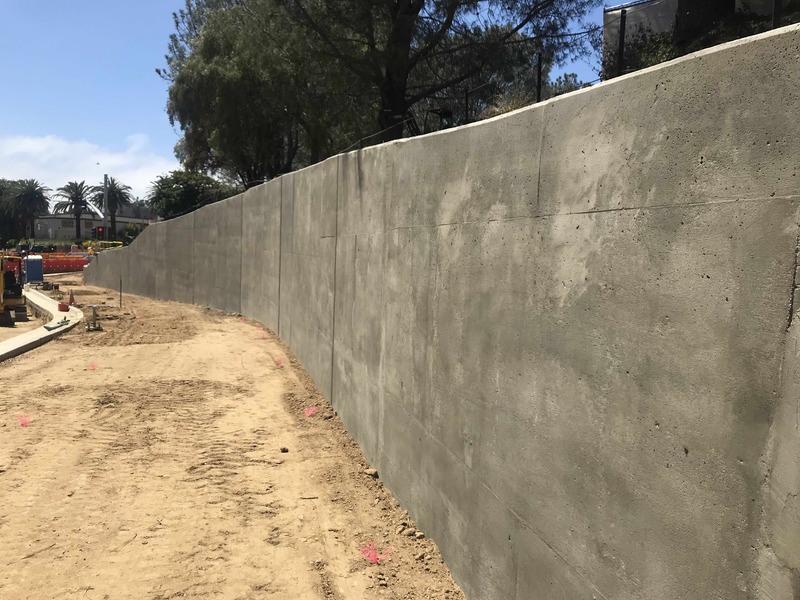 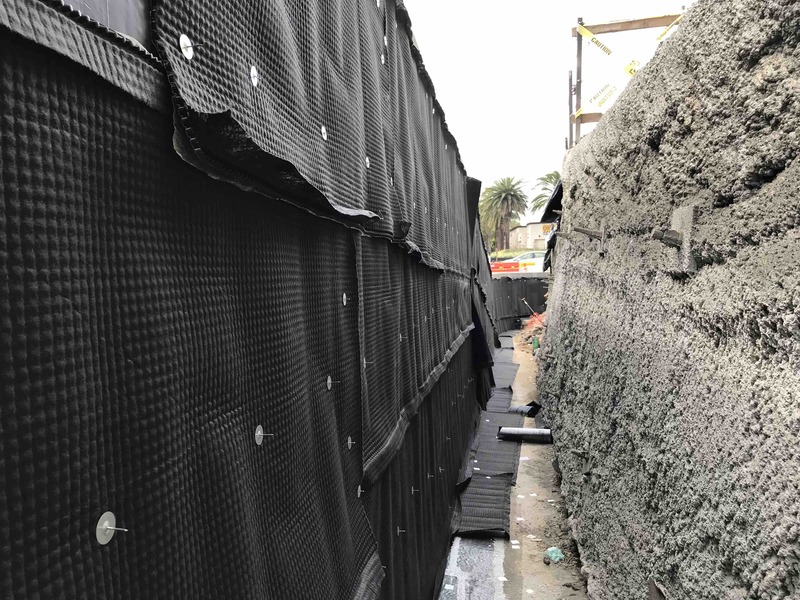 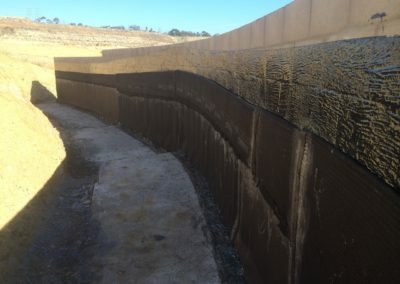 New Construction Project: Coastal waterproofed block retaining walls at the new housing development, Civita in Mission Valley using Tremco 250 GC. 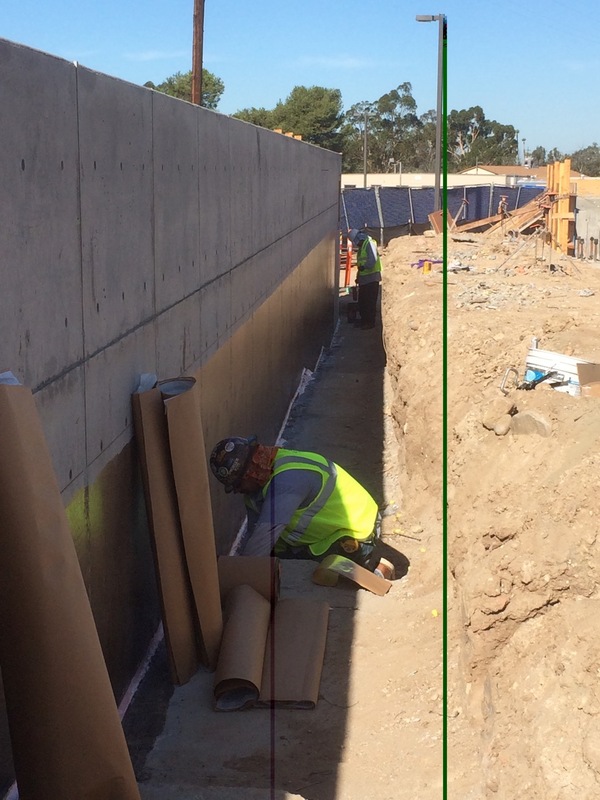 We specifically worked on the park areas of the 230-acre master-planned community.